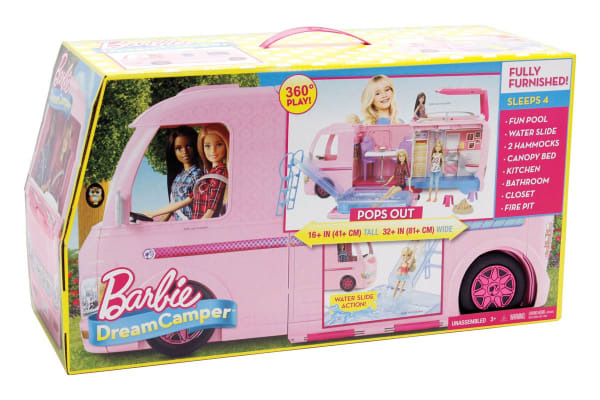 From camper to campsite, take your Barbie dolls on their next big adventure with the Barbie DreamCamper. 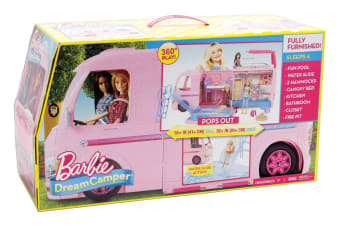 The Barbie DreamCamper provides the ultimate camping experience for Barbie and friends with it’s amazing transforming function. 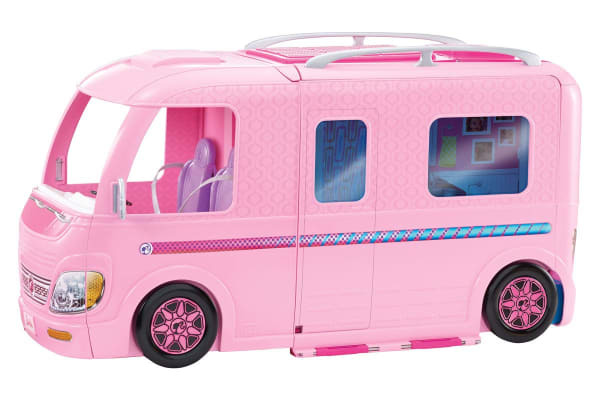 With just a push of a button, turn your camper into an awesome play space, decked out with everything your Barbie dolls need for a fun trip away! 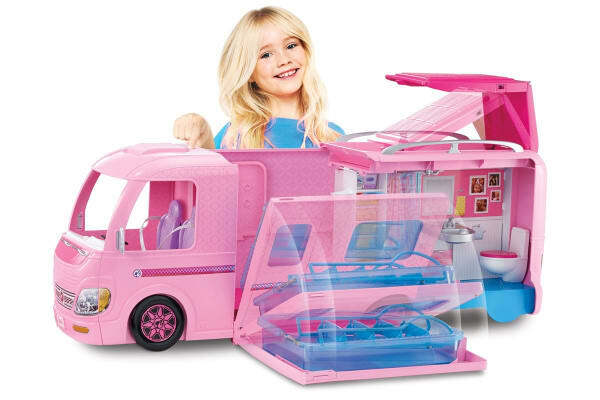 Let your imagination run wild with Barbie and friends as they splash around in the pool, roast some marshmallows next to the fire or even lay under the stars with the included hammocks.